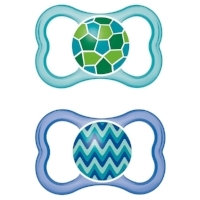 Pacifiers have been around for quite some time. They are meant to help soothe a baby and even help those teething to soothe their gums. 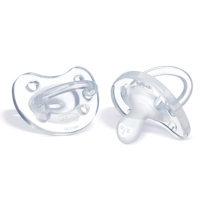 Pacifiers can really be a saving grace for many parents when having a fussy baby, a premature baby needed to gain strength in their jaw muscles to eat, reducing the risk of SIDS, as well as help with weaning. However, many never find out about the side effects of using a improper pacifier, improper pacifier care, or prolonged use of one until their little one is well into their toddler ages. Long term use of a pacifier can cause many dental health issues such as crooked teeth, under or over bite, Protruding teeth, or even changes the structure of a babies mouth. Remember your babies mouth still takes time to form after birth until they are about 2 years old. Typically, pediatricians recommend weaning from the pacifier by age two, however I highly recommend to begin weaning shortly after your little one has teeth coming in. I say this because once teeth come in your little ones mouth really begins to take form to any habits. This includes finger sucking and bottle use. I know weaning can be tough, I’m not saying take it away immediately after the first tooth but try to find ways to reduce excessive use as their teeth begin to come in. There are five great pacifiers I have found that are great for little ones from infancy to two years of age.